Gareth specialises in civil and commercial law and private children law. He is based in Walsall and attends courts throughout the Midlands. Gareth's primary areas of practice are in civil and commercial law. Prior to practising as a barrister, he worked for three years as a county court advocate for a leading national advocacy provider, and for two years as a PI paralegal. He therefore has a significant amount of experience in a wide range of civil matters. 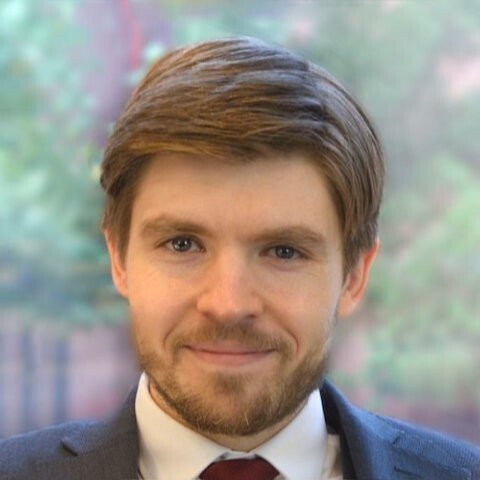 Gareth’s civil practice is enhanced by his master’s degree in Commercial Law, for which he was awarded a Distinction and came top of his cohort in Banking Law. His attention to detail and the depth of his research win plaudits from clients. Gareth also has a growing practice in family law, which comprised a large part of his pupillage. He has represented parties in private law children proceedings before all levels of the judiciary in the lower courts. He has also advised on appeal from first instance decisions before magistrates. Gareth is happy to accept instructions in private law, as well as for injunctive relief, commensurate with his year of call. Clients appreciate the combination of client care and straight-talking. Away from court Gareth makes the transition from barrister to barista as a self-confessed coffee snob. He roasts his own beans and tries in vain to avoid getting the next bit of kit. In a twist on the usual joke, he also works on his conversational Bengali so that he can speak to his mother-in-law more. Bangladeshi words for foods are a speciality. Gareth is a dedicated and well prepared Advocate who goes the extra mile to meet the client’s objectives. Would highly recommend in family law cases. Outside of these key areas of law, Gareth-Lee Smith is always willing to consider any enquiry requiring the experience or knowledge needed to help you or your client. Please call Gareth-Lee direct or the support team on 01823 247 247 if you would like to discuss any aspect of this profile.